YCRC Welcomes ‘Donald Shepherd’ to the Boathouse. 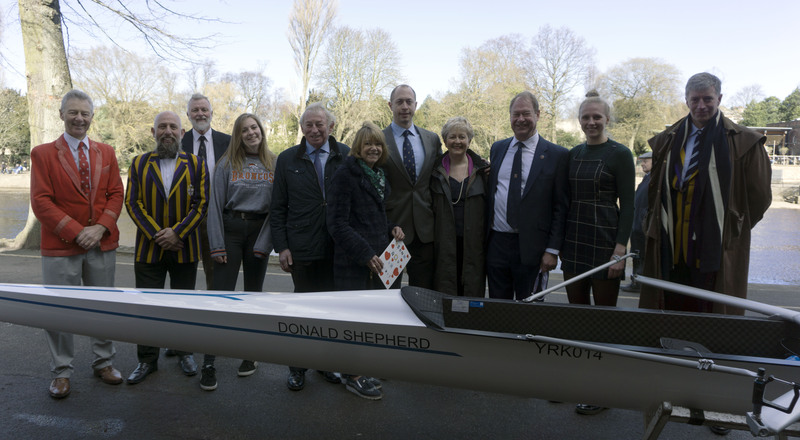 York City Rowing Club has named a new addition to its fleet “Donald Shepherd” in a riverside ceremony after a generous grant from the Patricia and Donald Shepherd Charitable Trust enabled the purchase of a quadruple scull for use by the club’s junior girls’ squad. Named by Jane Robertson and Patrick Shepherd (Patricia and Donald Shepherd’s two children), the new addition to the fleet is part of an ongoing drive to raise the aspirations and realise the potential of young rowers at YCRC. The Trustees of the Patricia and Donald Shepherd Charitable Trust name YCRC’s new quad “Donald Shepherd”. Photo: Robyn Inglis. 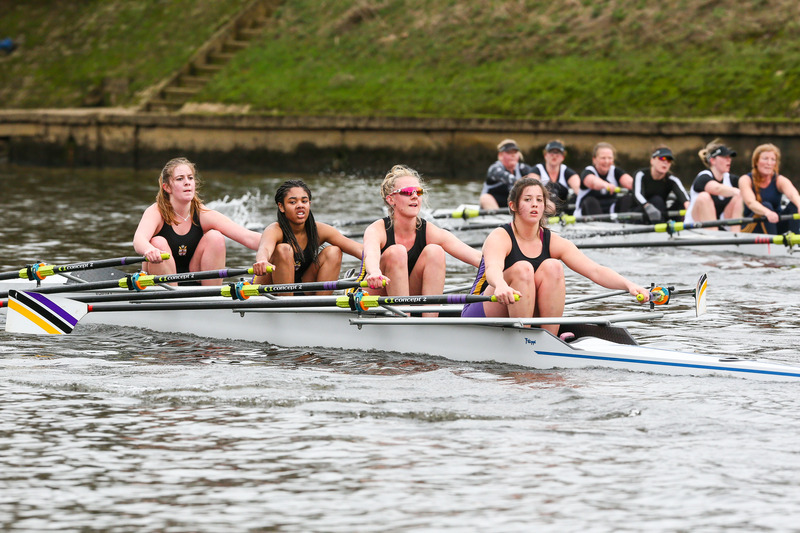 The boat has already seen racing action on home waters, where it was sculled to victory by the women’s junior 18 crew in the recent Yorkshire Head. The event, run by Yorkshire Rowing Council and hosted by YCRC, drew crews from across the north to race a time trail on the winding course that finished just above Lendal Bridge. Against a backdrop of strong performances by all YCRC crews the YCRC junior squad excelled, winning multiple boat classes, and the men’s and women’s J18 quad sculls recording the fastest overall times for the day for the quad sculls. As a gesture of thanks to the Trust, the women’s J18 quad presented one of their Yorkshire Head medals to the Trustees at the boat naming. WJ18 girls rowing to victory ‘Donald Shepherd’ during the Yorkshire Head 2019. Photo: Richard Sharpe, SI Events. “The Trustees of the Patricia and Donald Shepherd Charitable Trust are delighted to be able to provide funding for a new boat for the Junior Girls section of York City Rowing Club. The Trustees having met some of the girls involved believe they are a highly motivated and talented group of young people who deserve support by having the best equipment available in order to allow them to compete against the best crews in the country. Their recent results have reinforced our belief that we have made the right decision!” said the Trustees.